March | 2018 | Omni Title LLC. ALTA’s TitleNews Online published the following article written by Mike Sikora, which provides a review of a ruling by an Ohio appeals court that addressed multiple property issues, including what is needed for a mortgage to be valid. 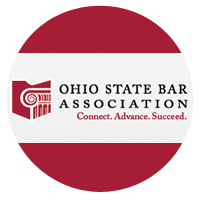 Congratulations to Mike Sikora who was recently named to the Executive Committee of the Ohio State Bar Association’s Real Property Section Council! On March 7, Brad Linville attended the Ohio Land Title Association’s 4th Annual Legislative Day in Columbus. Brad and other Members advocated for the passage of HB 407 to abolish dower, as well as providing feedback on SB 263 codifying electronic notarization. Attendees also heard from Senator Steve Wilson, co-sponsor of SB 263, and Representative Jim Butler, Chair of the House Civil Justice Committee. Omni’s Central Ohio office is in an ideal location in the heart of Downtown Columbus. Our cool, contemporary office is extremely conveniently positioned in a building on Columbus Commons Park – just two blocks from the Franklin County Administrative Offices in one direction and the Statehouse in the other direction – with underground parking immediately adjacent to the building. Omni’s Northern Ohio office is located in the heart of Downtown Cleveland at 737 Bolivar, Suite 210, Cleveland, Ohio 44115, in the heart of the Gateway District, next to Progressive Field, Quicken Loans Arena, and the Cuyahoga County Administration Building. © 2018 Omni Title LLC. All rights reserved.